Let us introduce our Railway products. in supplying anti-vibration products for the world’s biggest railway manufacturers. For over fifty years, DTR expertise has produced elastic rubber-metal systems for train and tramway OEMs that reduce vibration, shock, and noise. 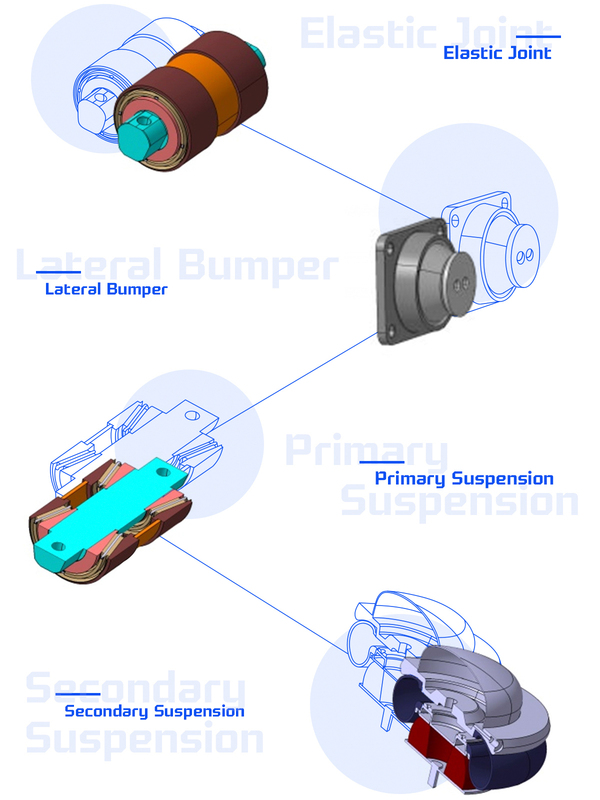 spherical bushings, sliding bushings, elastic joints, and lateral bumpers. Through sophisticated computing systems, DTR offers engineering development of components that meet the most demanding customer requirements. of the finished product, DTR’s production process is characterized by vertical integration. This extends to in-line static and dynamic rate testing of every batch produced, to ensure the highest consistency in quality and reliability. DTR is constantly investing in research and development on new projects, ensuring high performing products in even the most critical applications. very best for their equipment.